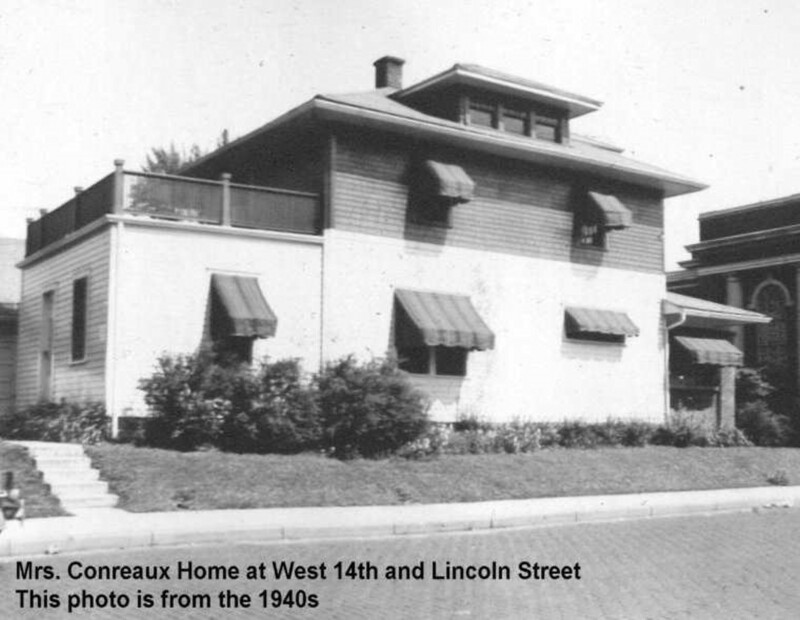 Historic pictures from West 14th Street. 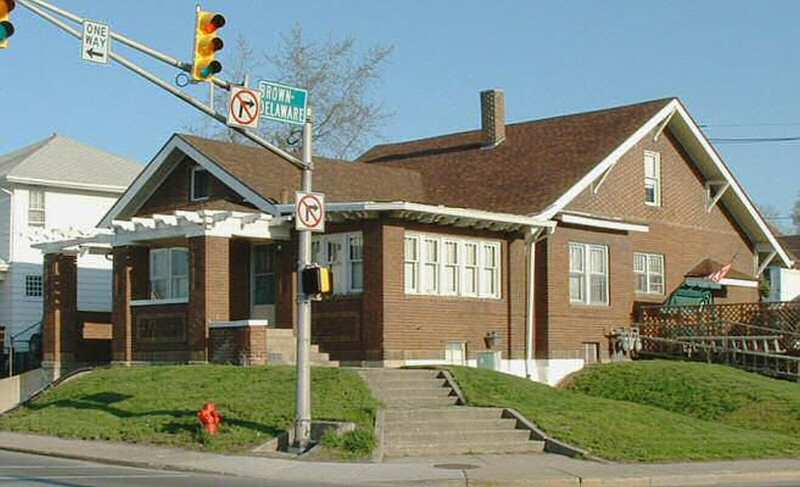 The properties in this area are not located within any of the Historic Districts. 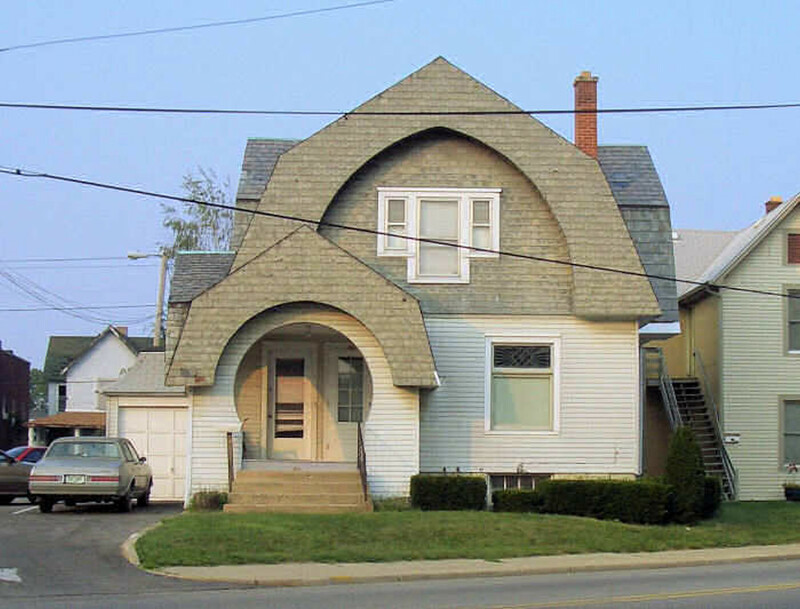 One of a identical pair of very unique houses - this being the most original of the two. 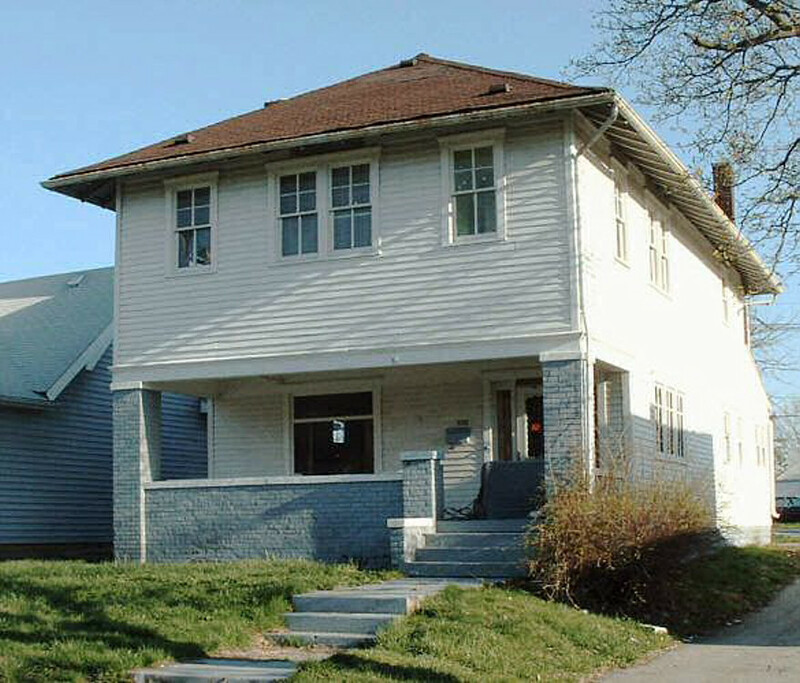 Currently unprotected and used as a rental property. 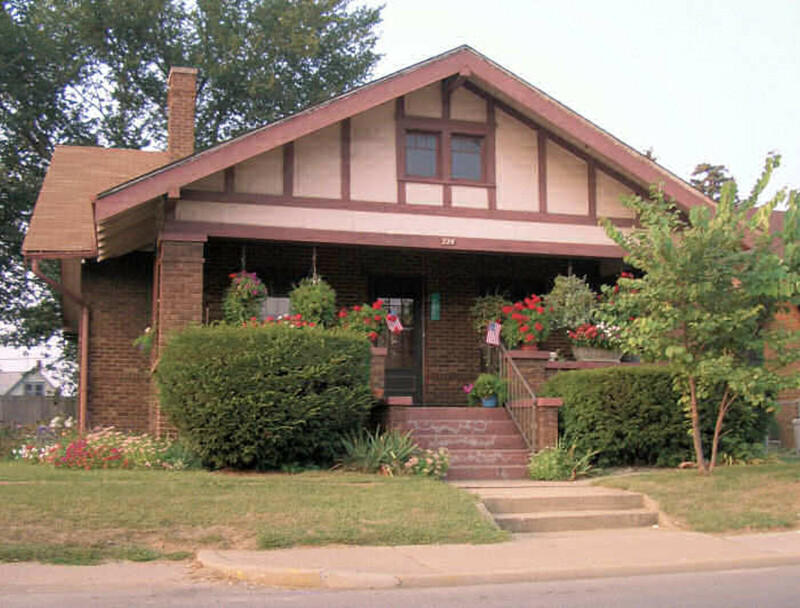 One of several craftsman or prairie style homes in this block East of downtown. 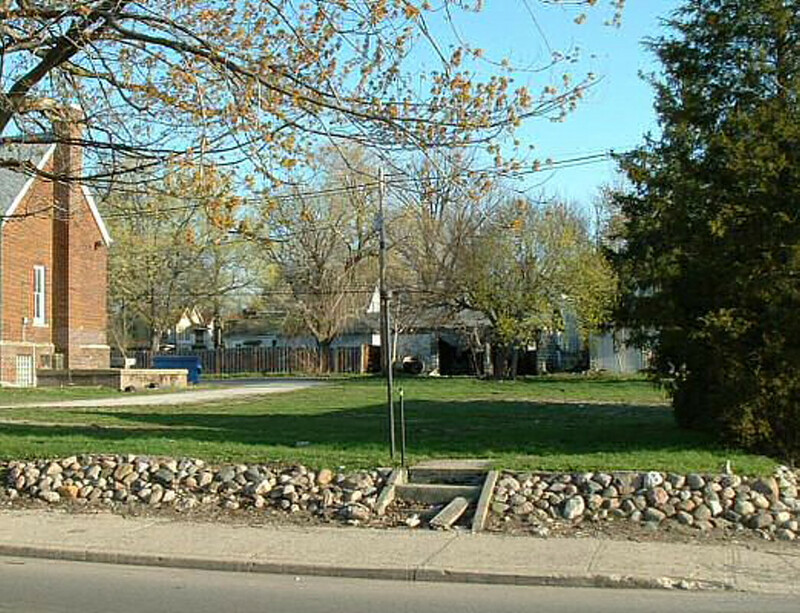 This is a small area we would like to see added to a new district. 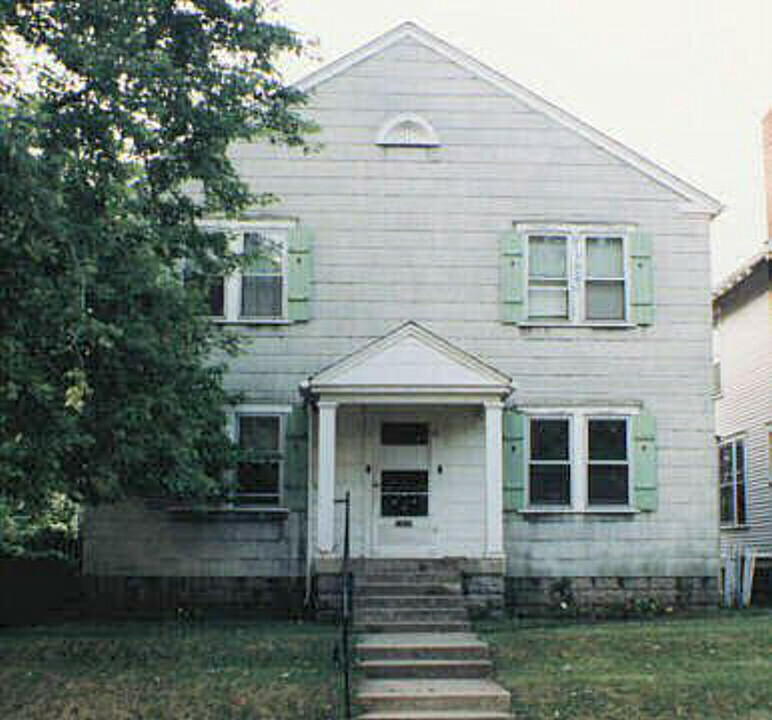 This home has been used as apartments for many years. 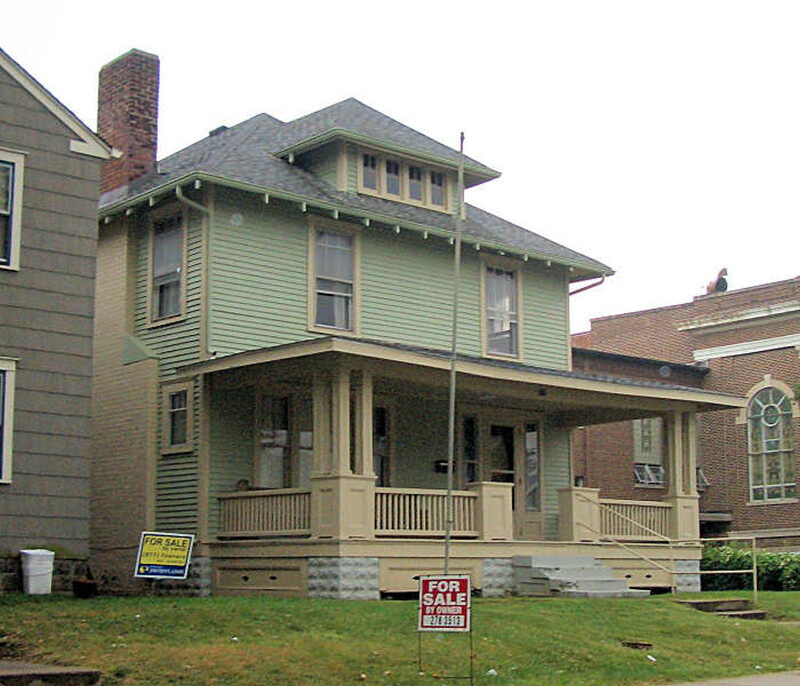 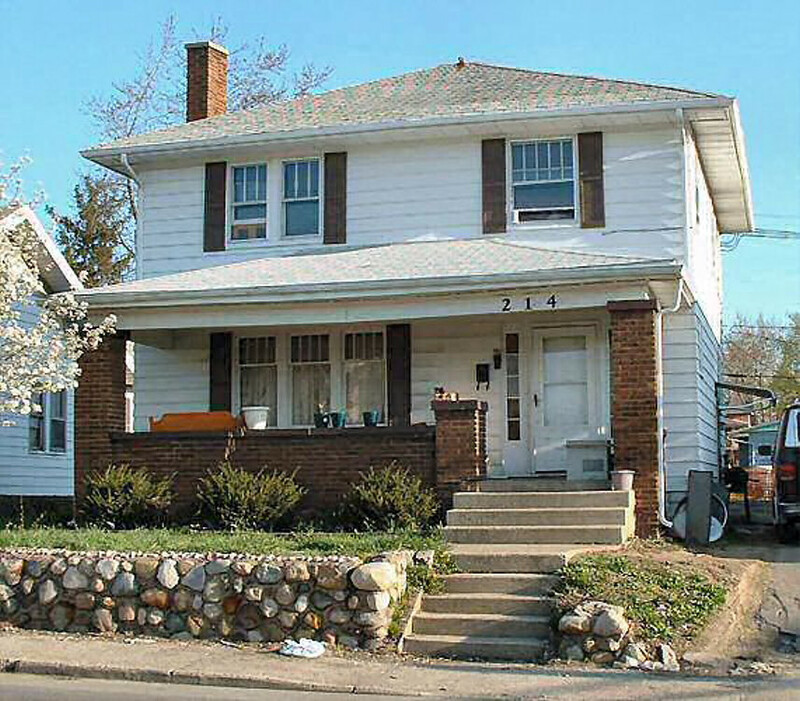 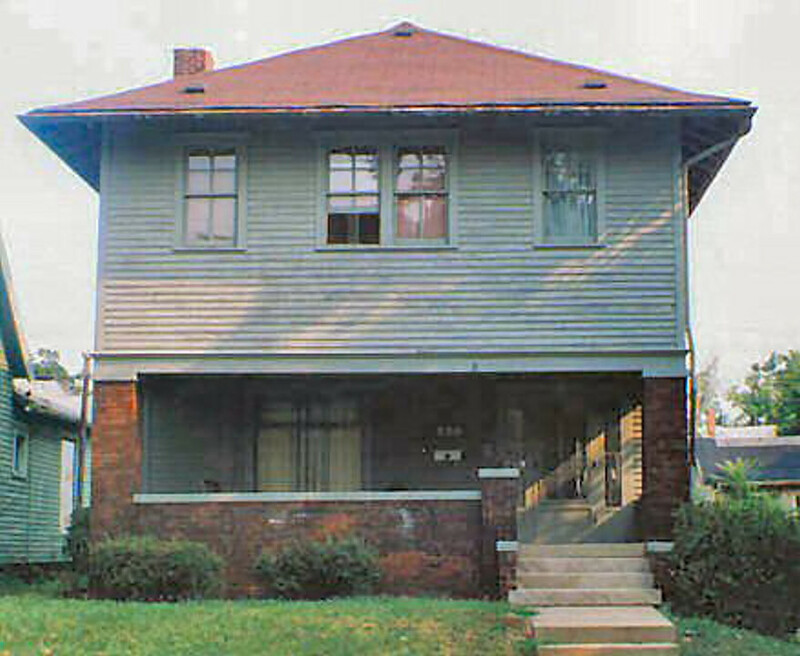 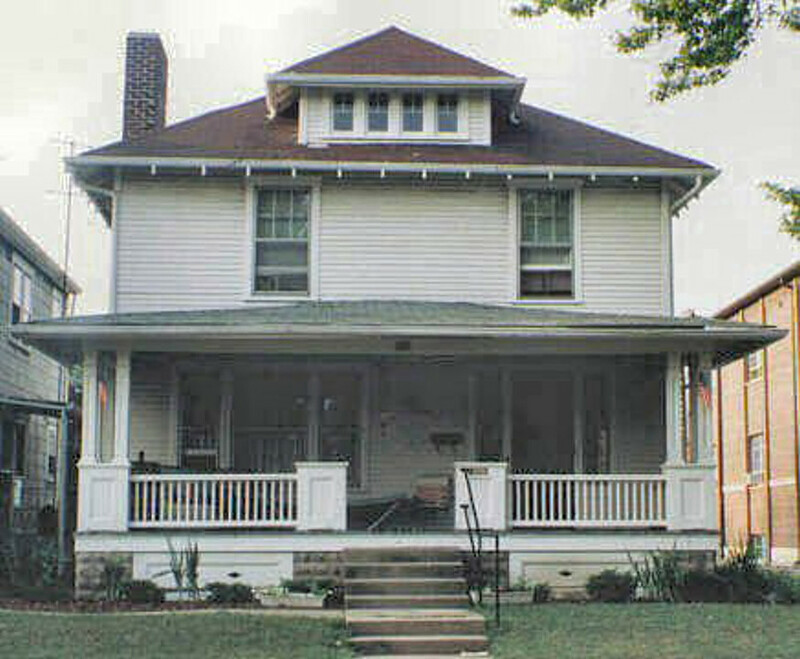 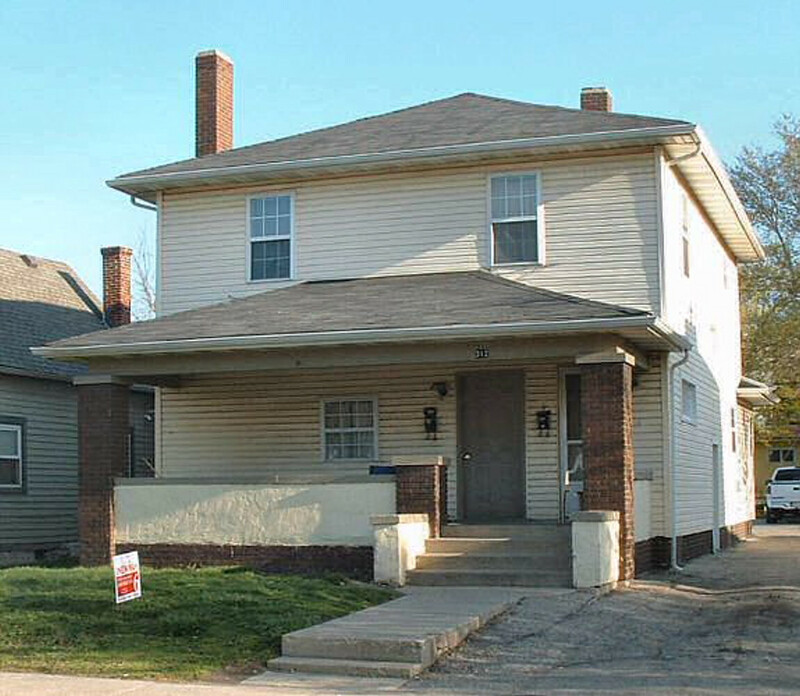 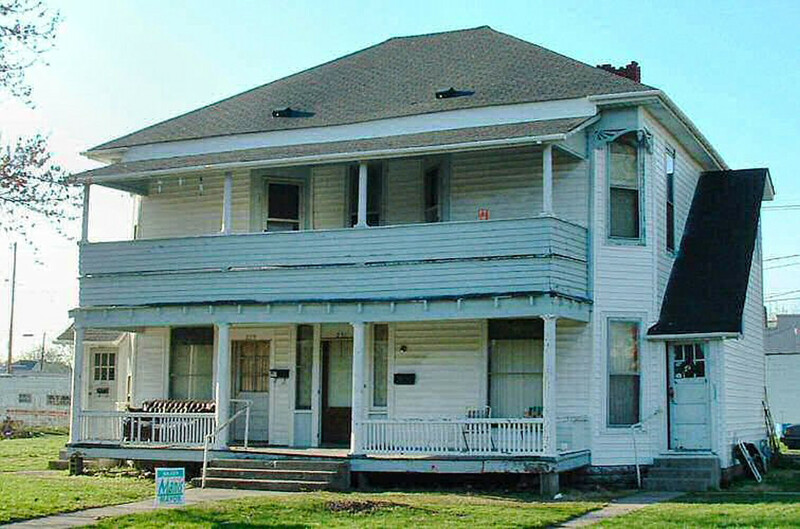 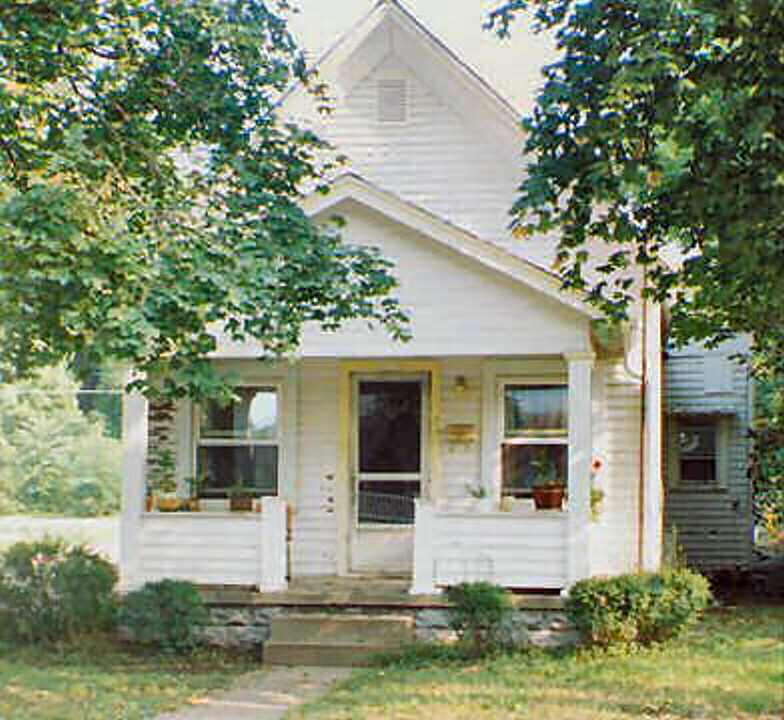 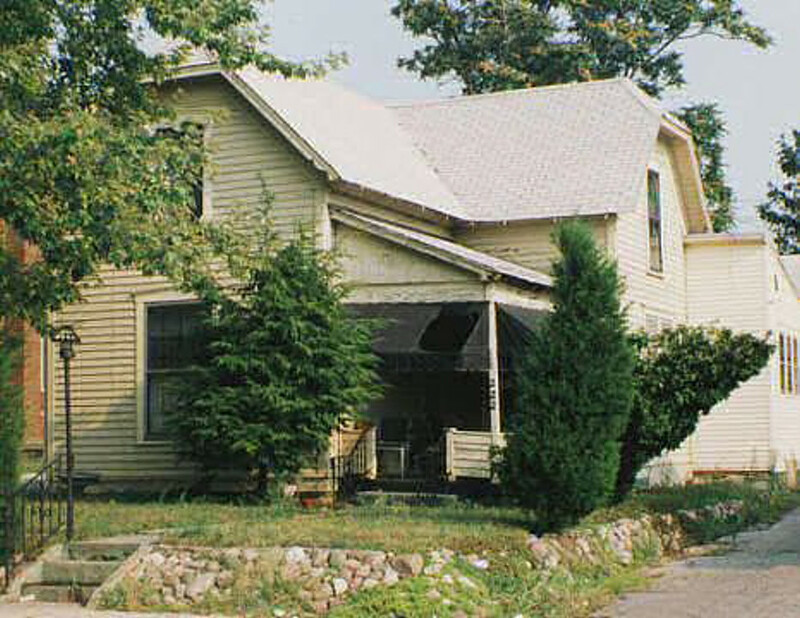 The 2-story porch hides the fact that the house is quite old. 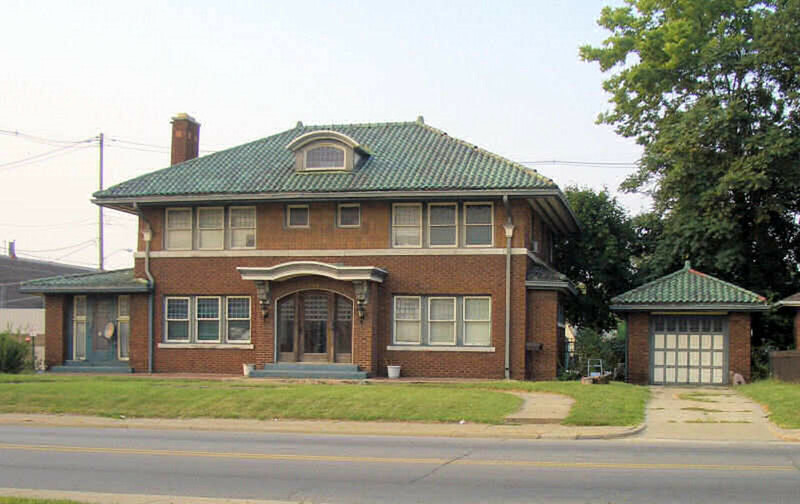 Another "save" - a four unit apartment building contructed in 1927. 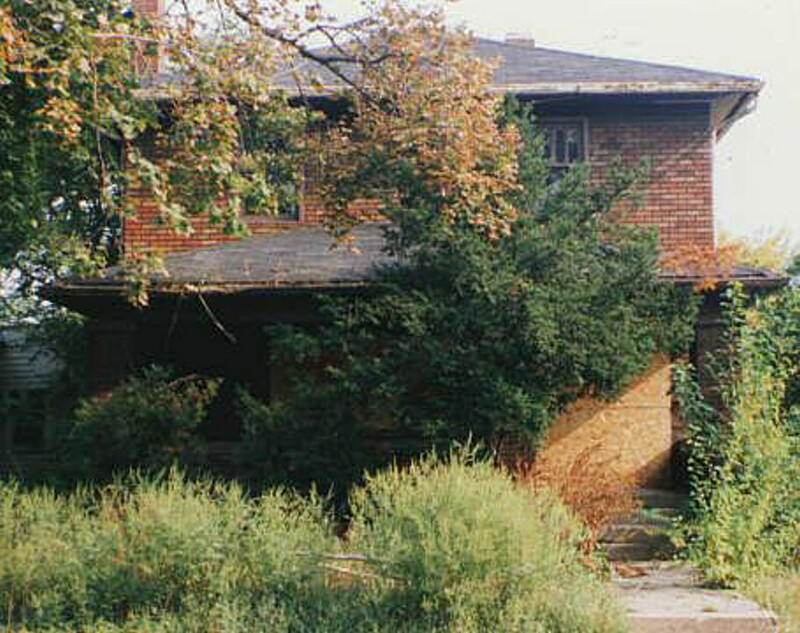 The property had little or no maintenance since the 1960s and was beginning to show signs of deterioration. 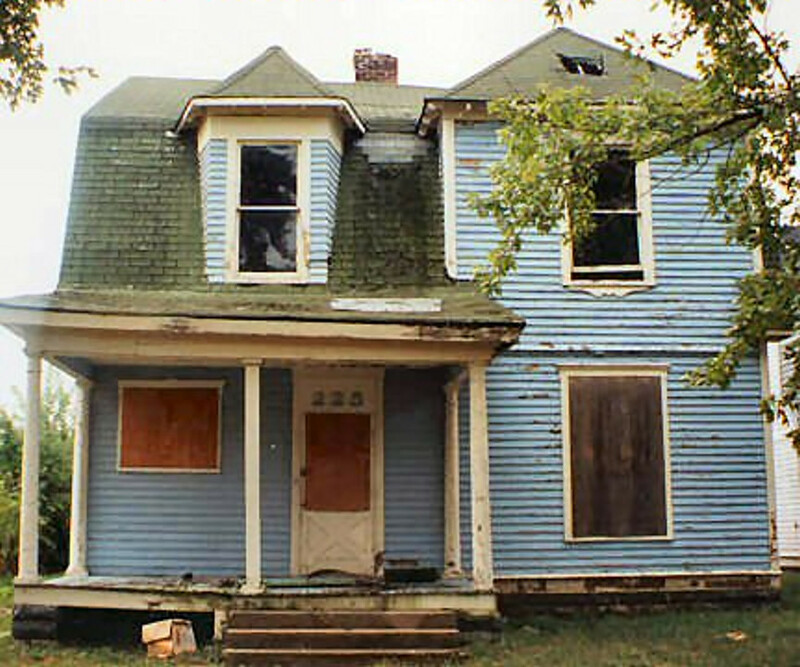 This home was nearly demolished before being renovated. 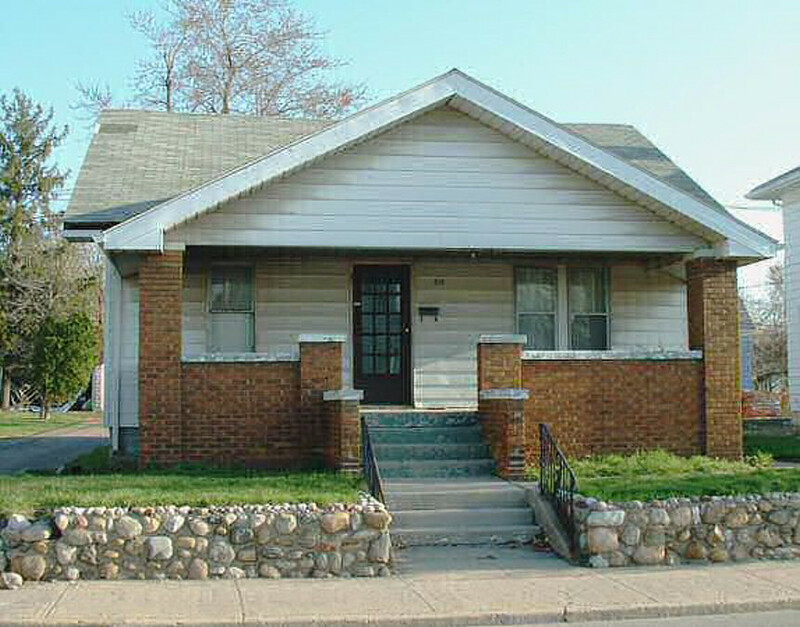 ADNA's first project house. 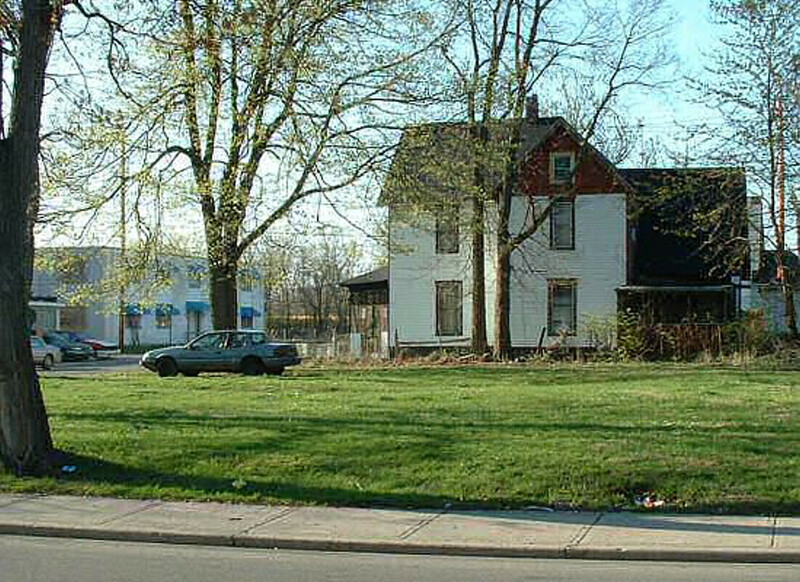 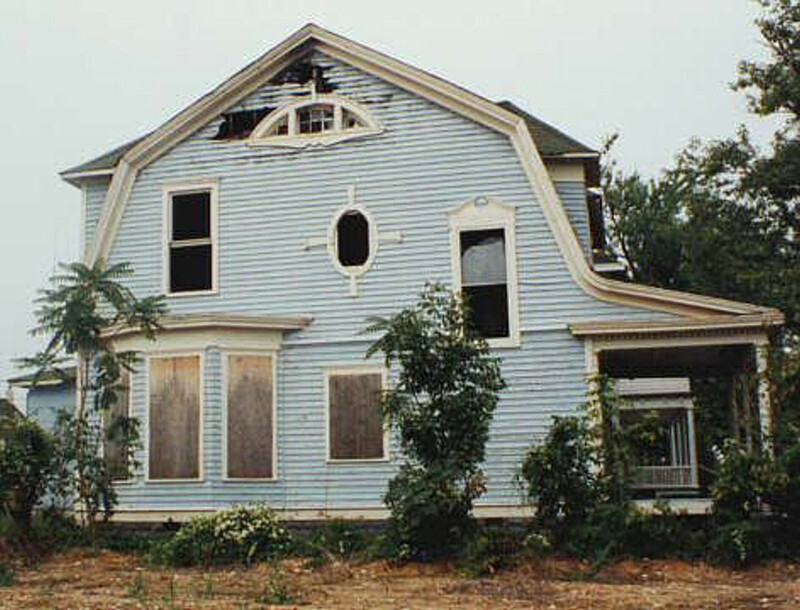 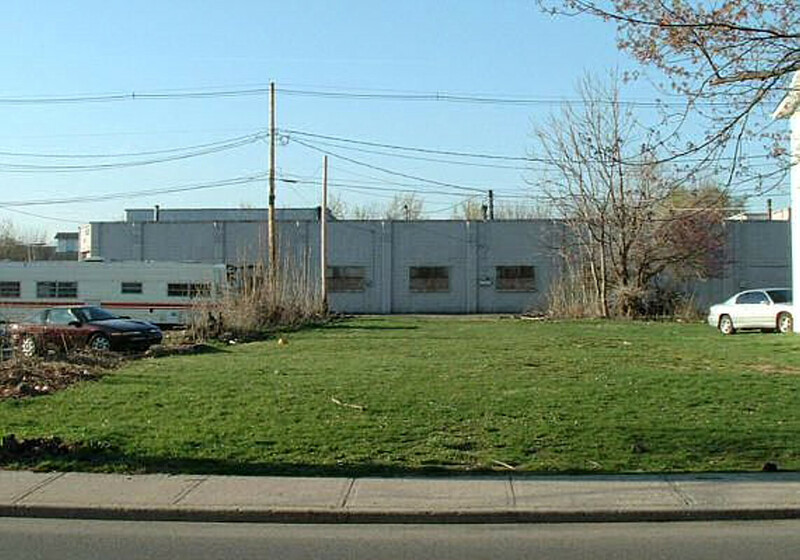 This house was scheduled to be torn down in 1999. 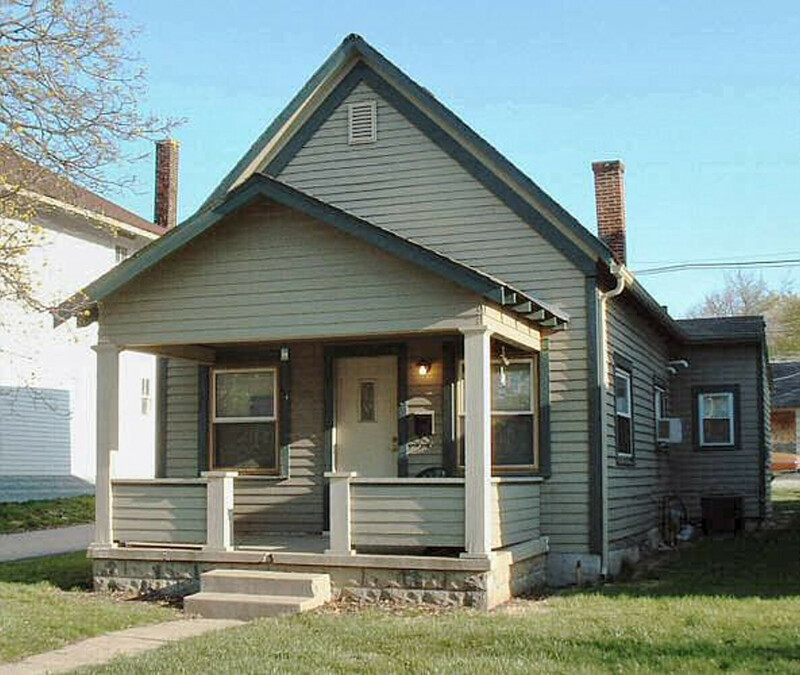 Vinyl siding was removed and details missing were replaced. 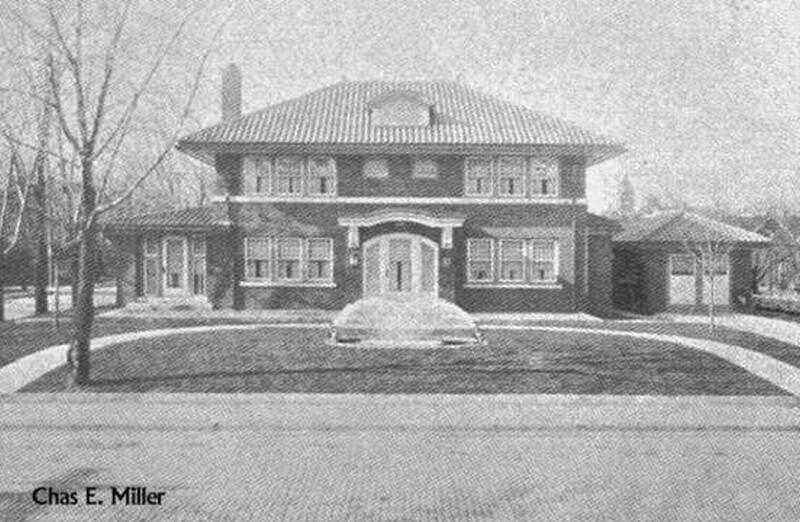 The interior was completely renovated. 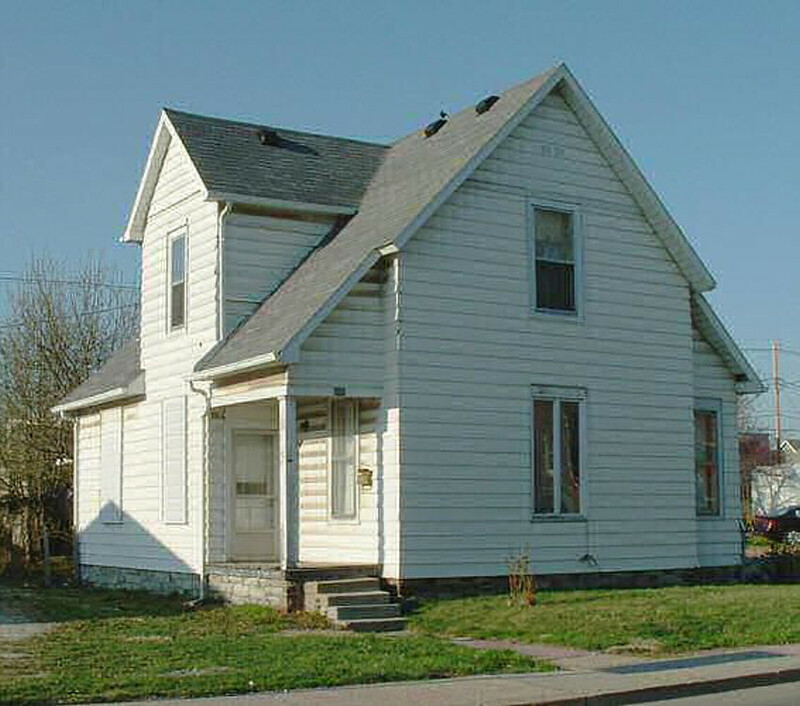 The home has seen many changes but major framing was found to be done with square nails - a very old house. 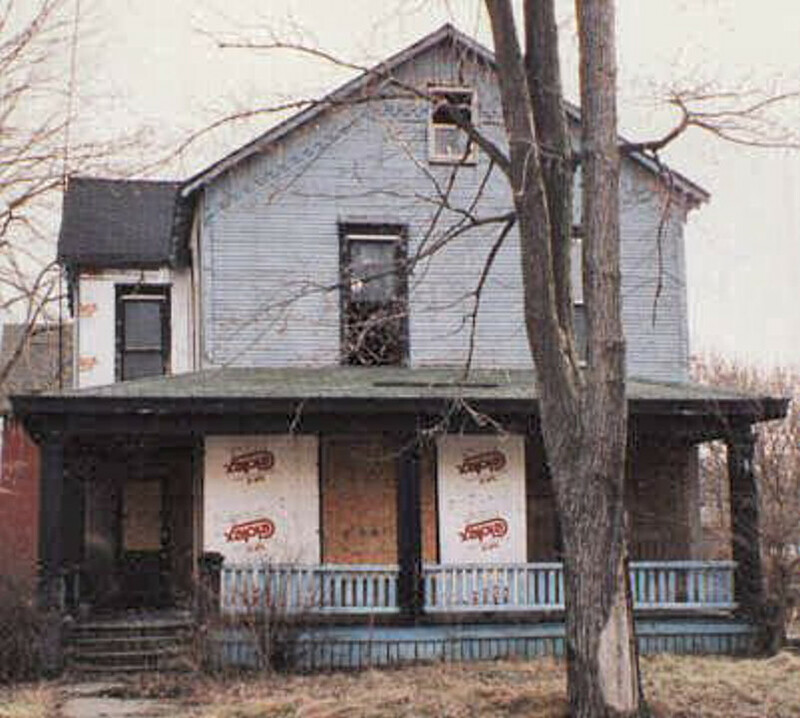 Unfortunately, 1991 was a better year for this craftsman home. 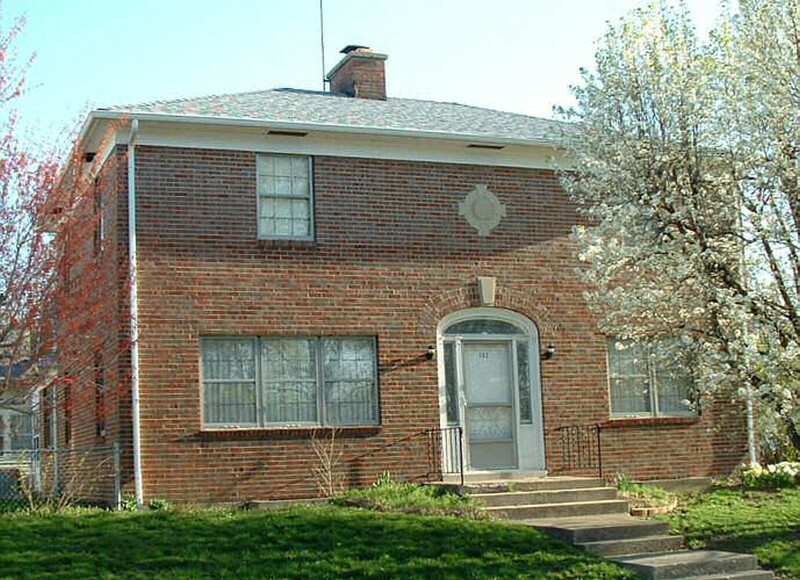 In an effort to quickly sell the house, a quick paint job was done in about 1998 which covered the brickwork with white paint. 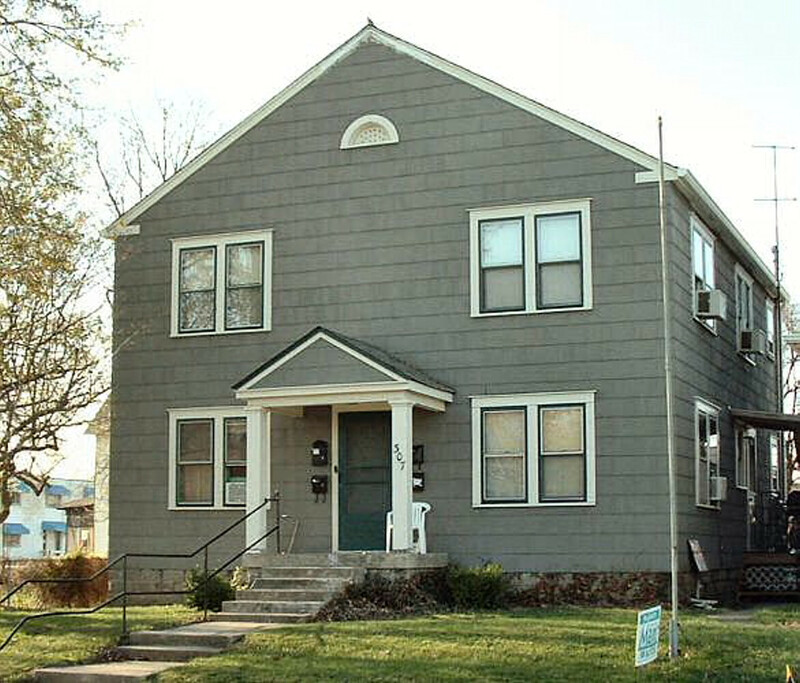 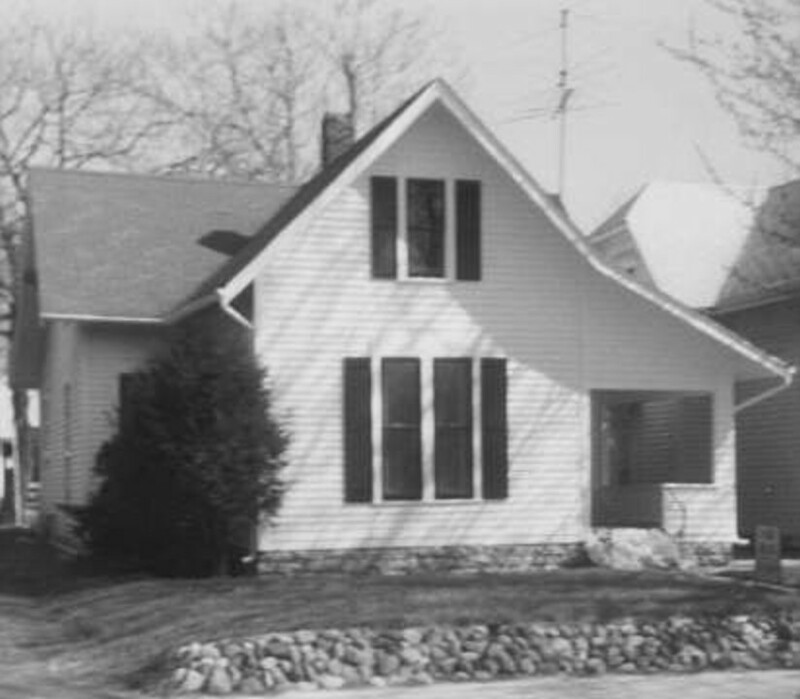 This home exists today but without it's rear addition and 2nd floor deck. 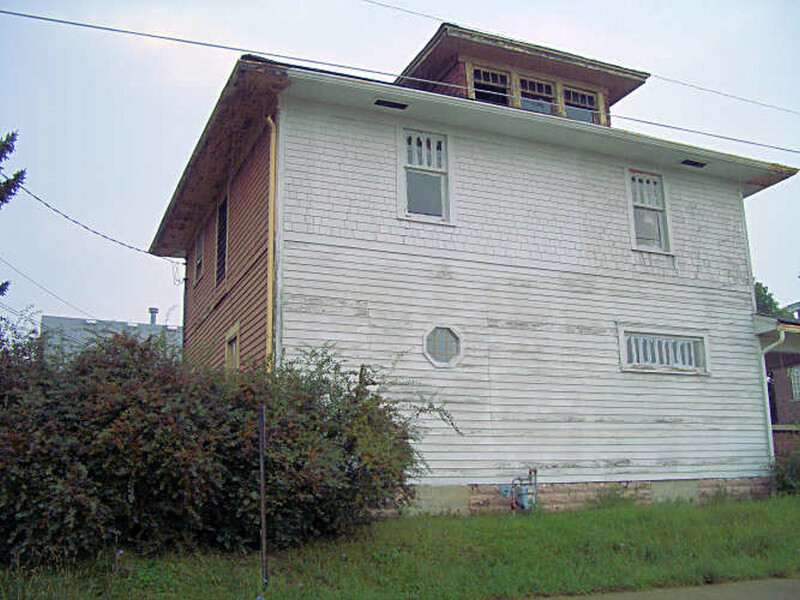 The homeowner has been hard at work removing old paint down to bare wood. 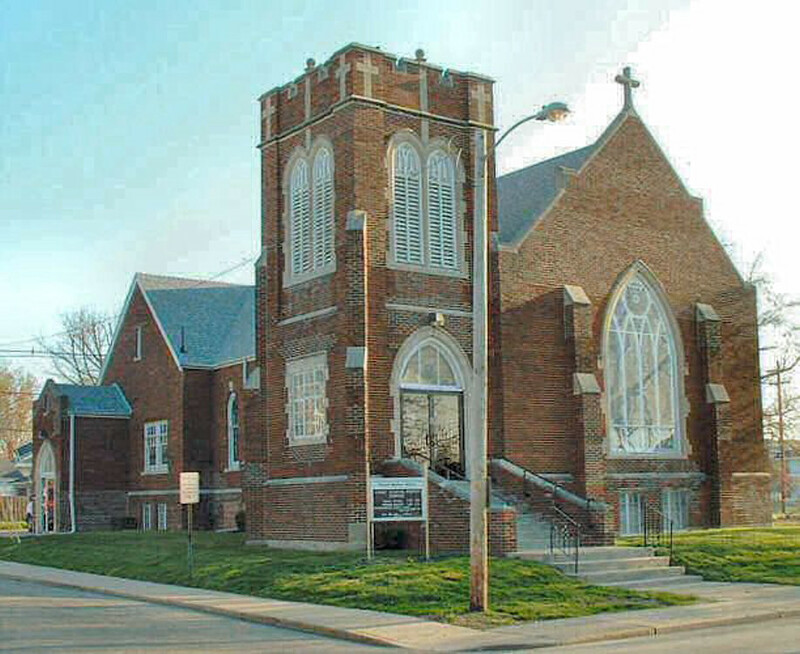 For many years this was the First Baptist church. 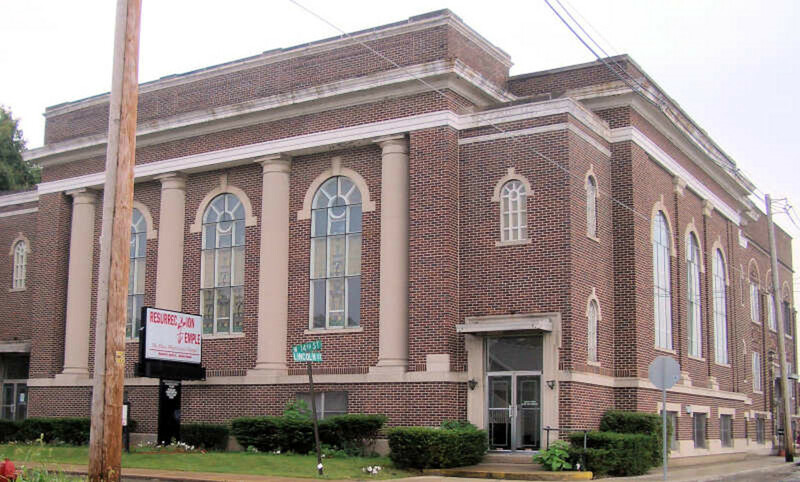 The current congregation has been diligently restoring the building.